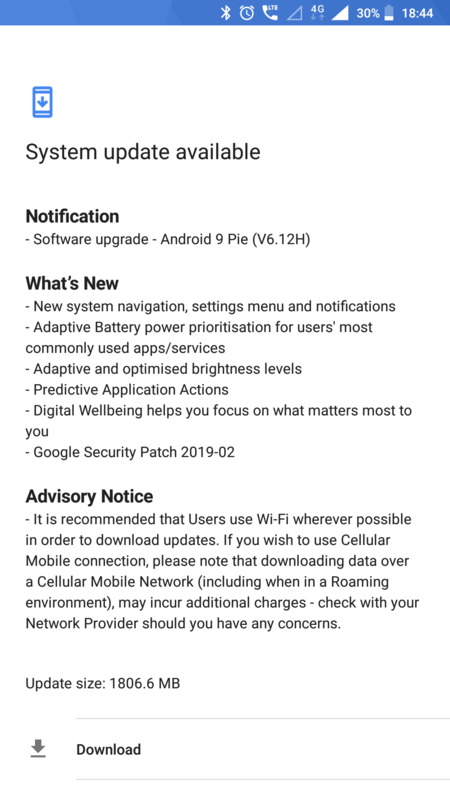 Android 9 update released today. Updated with Feb security patches. No issues found in this update. Dolby Atmos problems. Nokia 6 TA-1025 DS. When streaming my Pandora through my car's audio the bass is not there.Everything was working fine prior to update. I am facing so many issues with new update to Android 9. 1. Finger Print data removed everytime i restart my phone. 2. Even when i try to re-enter my fingerprints it got stuck on 5%. 3. Even when i am enrolling my one finger for Finger print and i mistakenly put my other finger it accept that as well and unlock the phone. 4. Many times when i try to open camera it says unable to open Camera as Camera is used by some other Applications. Even no other app is opened that time. 5. Many times people not able to get my voice even when the network signal is full. 6. Battery got drained down fast. 7. Media volumes lowered down automatically. After updated, I can't use the camera, it said "can't connect to the camera"
Android 9 Pie in Nokia 6 it does not work with hidden networks, i apply all the solutions on the web and the support of nokia and doesn't work it, the only option is expose the network. No , it's not fixed yet. My device is Nokia 6 TA-1000. I just finished this big upgrade. All my notes are lost now. Any idea to recover it maybe?